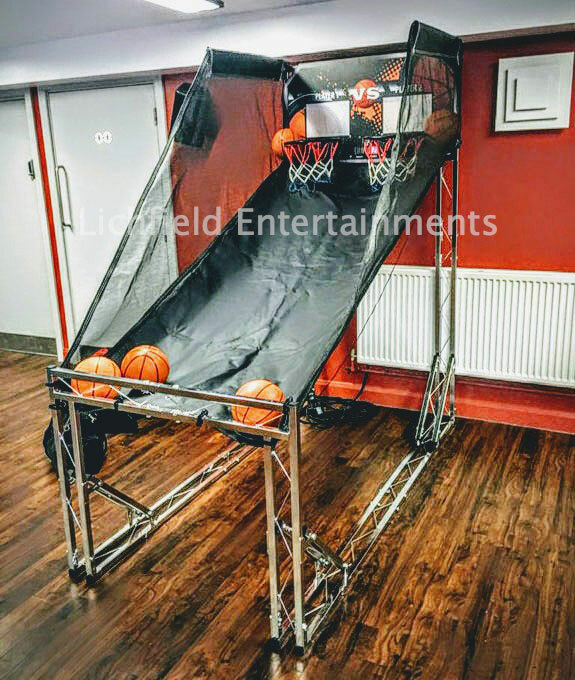 Basketball Challenge is a double basket two player game complete with automatic scoring that registers how many points each player scores in a 60second head-to-head challenge. You'll need a level area 8ft wide, 12ft deep, and 8ft 6in high - this includes room for participants to stand in front of the game. The game can be supplied with or without a member of staff. 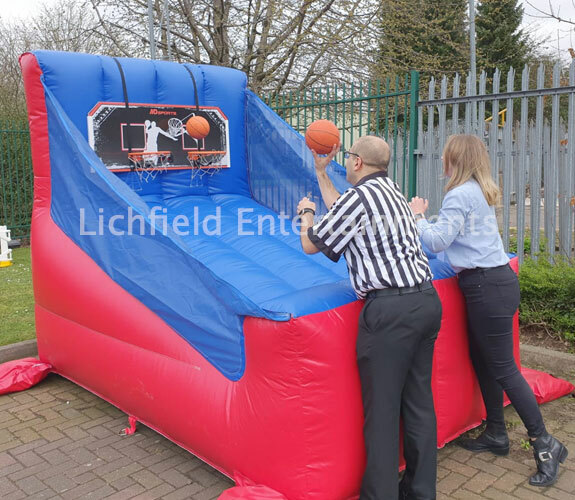 If you have any queries, questions, or would like to hire our Basketball Challenge please click here to enquire and we will do all we can to help.